I've been taking Doxycycline since early October and the only side effect I've noticed is increased passage of gas. 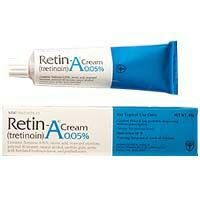 I'm not sure how much it has helped, but it has helped my acne. Dealing With Dryness When Things Burn? Has a light, not creamy consistency Moisturizes well Contains hydrators and niacinamide My dermatologist recommended I use this in my routine because of my skin that tends to be either really dry or moderately oily. I love it. I love the lightweight consistency, the hydration factor, and the fact that it has niacinamide, which helps reduce inflammation and redness. It goes perfectly above my Epiduo. For a few nights it did burn a bit, but I found out that my cleanser at the time was at fault. Face Cleanser For Tan Asian Skin? I agree. 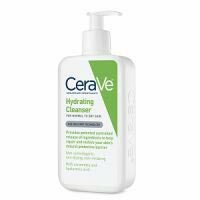 I'm Filipino and I use CeraVe Hydrating and it works well for me. One of the best facial cleansers I've used, so far. Good cleanser, but a tad harsh on my combo skin. 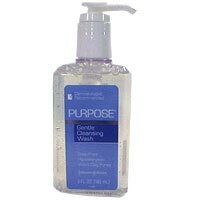 Foams quickly Has a light fragrance A little goes a long way Dries out non-oily areas Kinda expensive I bought this on a whim while at Target. I had previously been using a salicylic acid-based scrub which did okay, but I knew it was too harsh. Initially this worked out well and I had bought it right on time because my dermatologist started me on Epiduo and Doryx. After a month, I found that it dries out my cheeks more than I expected a gentle cleanser to, but it's probably just how my skin is. What To Use For Emergency Treatment? What to use for oil control with acne system? I use the Neutrogena Complete Acne Therapy System and love it. The only problem is that it doesn't control oil that well. As a result, my nose (which is the most oily part of my combo skin) still has acne, whereas my oily, but not as oily as my nose, forehead is clear. What product can I use after cleansing to remove oil? Does anyone have a suggestion for an astringent or toner? Or can I just use my Neutrogena Oil-Free Acne Stress Control toner? Why is it almost always 10% BP? My definite question is that: Why are most OTC Benzoyl Peroxide products have 10% or "maximum-strength" Benzoyl Peroxide? Is it the connotation that "the highest level is the best"? Do the manufacturers know that prescription products don't typically go above 5%? Side note: For me, not only do 5% and 10% Benzoyl Peroxide products not work better than 2.5%, they actually don't work at all!